CSDA’s research and analytics tools are used by local and international agencies to support smart policy and sound decision-making in areas including health and social welfare. This issue: CSDA risk modelling in The New York Times, funding award to study community perspectives on government use of algorithms, CSDA papers in Children And Youth Services Review, Pediatrics and American Journal of Public Health and meet CSDA Senior Research Fellow Matt Walsh. An in-depth feature in The New York Times - ‘Can an Algorithm Tell When Kids Are in Danger?’ - has investigated the initial impact of the Allegheny Family Screening Tool and highlights an increase in the number of kids at real risk who are being ‘screened in’ for follow-up, and the transparency of the implementation process by Allegheny County and the research team. A paper analysing the application of risk modelling to child maltreatment screening decisions, co-written by CSDA’s Diana Benavides-Prado, Oleksandr Fialko, and Rhema Vaithianathan, received a best paper award at the FAT*2018 Conference on Fairness, Accountability and Transparency. Read the full paper and more about the award. Sandeep Perera has rejoined CSDA as a research fellow. He will work on the Douglas County PRM project and the Allegheny County Homelessness PRM project. In March we farewelled Nina Anchugina (Research Fellow) who played a lead role in the California “Beating the Odds” project. Nina has taken on a data science role in the financial sector. We also farewelled Bharati Koli who has completed her contract as a software developer on the MyDay project. All the best, Nina and Bharati! Sahar Barmomanesh has enrolled to complete a PhD in Data Analytics (Algorithmic Fairness) and will be supervised by CSDA’s Rhema Vaithianathan and Matt Walsh. Sahar completed her Masters in Data Analytics at AUT and prior to that completed a BSc in Applied Mathematics at the University of Auckland. Ye (Zoe) Ye has enrolled to complete a PhD in Economics supervised by Tim Maloney and Rhema Vaithianathan. Zoe intends to complete an economic analysis of all possible changes to the NZ Superannuation Fund that could increase the Fund’s long-term fiscal sustainability. She completed her Master’s Degrees in Economics and Mathematics (Actuarial Science) at Middle Tennessee State University. CSDA has appointed a second US project manager, Allon Kalisher, to support the work currently done by Emily Kulick. 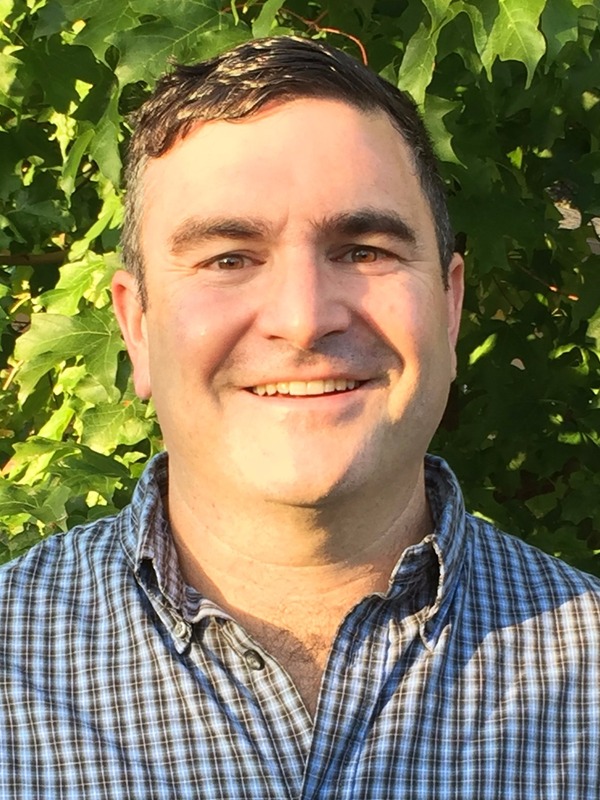 Allon is working part-time for CSDA in addition to his current role as the Regional Administrator for Region 3 of the Connecticut Department of Children and Families (DCF). His primary focus will be managing the Douglas County PRM project. Before joining CSDA as a Senior Research Fellow, Matt Walsh worked with the Wisconsin Department of Children and Families (DCF) where he was tasked with expanding the Department’s analytic capacity and harnessing its collective data assets to improve decision-making. Now he is hoping to work as a conduit between CSDA and policymakers, helping agencies extract meaningful information and answers from their data. One of his first projects at CSDA has been to delve into the data collected by the Growing Up in New Zealand (GUiNZ) longitudinal study and look at which children are most likely to experience adverse childhood experiences (ACEs). Long-term Matt and the CSDA team hope to identify the ‘protective factors’ related to children who appear to be ‘beating the odds’ (experiencing no ACEs when it is predicted that they will experience two or more). Read the full profile on the CSDA website. A study looking at community perspectives on the use of algorithms by government has been awarded funding from the International Association for Computing Machinery’s KDD (Knowledge Discovery and Data Mining) Impact Program. The program aims to expand outreach of data science and enhance data science community engagement, which is supported by the participatory design methods being used in the joint CSDA study. The research team comprises Rhema Vaithianathan (PI), Anna Brown and Andrew Tobin (Toi Aria, Massey University, NZ), Emily Putnam-Hornstein (Childrens’ Data Network, University of Southern California, USA) and Alexandra Chouldechova (Heinz College, Carnegie Mellon University, USA). Initial results will be presented at the SIGKDD conference in London in August 2018. Douglas County Human Services leadership has decided to proceed with the “infrastructure build” stage of the child welfare predictive risk modelling (PRM) project following on from CSDA’s feasibility study. During the initial phases of the project CSDA established it could build a strongly predictive model for child welfare outcomes in Douglas County, even without fully integrated data. The next stage of the project will see the PRM tool implemented as a randomised controlled trial, and a policy discussion white paper provided. After promising results from the pilot MyDay survey in 2017, Health Education England (Working Across Wessex) has committed to a full rollout of the survey before the middle of 2018. The research team will survey the wellbeing of around 2000 junior doctors with the findings used to inform future improvements in job satisfaction and wellbeing. The research team is working on the next rebuild of the Allegheny Family Screening Tool, part of an ongoing work programme designed to optimise the accuracy and consistency of the tool. Watch this space for updated methodology details. “Can Big Data Help Save Abused Kids?”, Reason, January 2018 features comment from CSDA’s Rhema Vaithianathan and Emily Putnam-Hornstein (CDN) and explores the pros and cons of employing predictive risk modelling to support decisions about child welfare. “Can an Algorithm Tell When Kids Are in Danger?”, The New York Times, January 2018 looks at the initial impact of the Allegheny Family Screening Tool, a predictive risk modelling tool co-developed by CSDA, being used to help call screeners in Pittsburgh, Pennsylvania make decisions about child maltreatment allegations and which children and families should be prioritised for investigation. “Allegheny County response to critical coverage of Allegheny Family Screening Tool”, January 2018 Allegheny County DHS leadership responds to coverage of the Allegheny Family Screening Tool in the book “Automating Inequality”, citing inaccuracies. “Risk Score May Reveal if Kids are Victims of Ill-Treatment”, MedPage Today, January 2018 Summarises findings of the Pediatrics study quoting Brett Drake, PhD, and Melissa Jonson-Reid, PhD, both of Washington University in St. Louis, who in the editorial accompanying the article characterised the study as a "breakthrough" in using predictive risk modeling to predict negative child outcomes. “Twelve Questions with Big-data expert Rhema Vaithianathan”, NZ Herald, March 2018 Profile of Rhema Vaithianathan. ­­“Predictive Analytics in Child Welfare — Benefits and Challenges”, Social Work Today, March/April 2018 Explores benefits and challenges of predictive analytics in Child Welfare, focusing on the Allegheny Family Screening Tool. Risk assessment and decision making in child protective services: Predictive risk modeling in context, co-written by CSDA’s Professor Rhema Vaithianathan and published in Children and Youth Services Review in August 2017, looks at how PRM using linked administrative data can support current approaches by child protective service agencies in assessing risk and allocating resources. Injury and Mortality Among Children Identified as at High Risk of Maltreatment, co-written by CSDA’s Rhema Vaithianathan and Bénédicte Rouland, was published in Pediatrics in February 2018. The study sought to determine whether children identified by a predictive risk model as being at "high risk" of maltreatment are also at elevated risk of injury and mortality in early childhood. The results showed children flagged as high risk (at 10% and 20% risk thresholds) had much higher post neonatal mortality rates than other children and the researchers concluded that deploying PRMs at birth could help identify children in families requiring more intensive support. Cumulative Prevalence of Maltreatment Among New Zealand Children, 1998–2015, written by Bénédicte Rouland and Rhema Vaithianathan, was published in the American Journal of Public Health in March 2018. The study sought to document, via linked administrative data, the cumulative prevalence among New Zealand children of notifications to child protective services (CPS), substantiated maltreatment cases, and out-of-home placements. The authors concluded that both notifications and substantiated child maltreatment are more common in New Zealand than is generally recognised, with the incidence of notifications (almost one in four children at the age of 17) higher than the incidence of medicated asthma among children, and the prevalence of substantiations (almost one in ten children at the age of 17) similar to the prevalence of obesity. To help advance the understanding and effectiveness of social data analytics, our researchers continue to share and exchange knowledge with local and international colleagues and agencies. In February, CSDA hosted its third annual workshop “Applied Economics Papers on Child and Youth Outcomes” at AUT in Auckland. The workshop included 13 research presentations from NZ and Australian researchers and a keynote lecture from Associate Professor Heather Royer (University of California, Santa Barbara). CSDA’s Wellington workshop on “Measuring Childhood Risk and Resilience for Policy Impact”, also held in February, was attended by 13 government agencies and several private sector organisations and stimulated lively debate on policy uses for risk and resilience data. Nina Anchugina attended the Australasian Economic Theory Workshop at Australian National University (ANU) in February, where she presented a paper on One-switch Discount Functions. In February, Alexandra Chouldechova (CMU) and Diana Benavides Prado (CSDA) presented CSDA’s co-written paper A case study of algorithm-assisted decision making in child maltreatment hotline screening decisions in New York at the Fairness, Accountability and Transparency Conference(FAT*) 2018, a multidisciplinary conference for researchers and practitioners interested in fairness, accountability, and transparency in socio-technical systems. In February, Rhema Vaithianathan spoke at the Melbourne Institute (University of Melbourne) Director’s Conference, on the topic of population growth and community resourcing. In March, Rhema presented on the Douglas County PRM feasibility project at a workshop for Colorado state child welfare leaders, hosted by the Douglas County Department of Human Services. In March, Rhema visited the Center for Healthy Children at Pennsylvania State University, where she gave a presentation of her research on predictive risk modelling for child welfare. On 11 April, Rhema will speak in Auckland as part of the Privacy Live series run by the Office of the NZ Privacy Commissioner. In a free talk entitled Working Towards Trusted Data Use, Rhema will explain the development and application of the NZ Guidelines for Trusted Data Use.